The purpose of the program is to create and incentive fund for all 3 year old foals by subscribed stallions entered in the SCHF and enhance availability of premiere cutting stallions in the southern cutting industry. 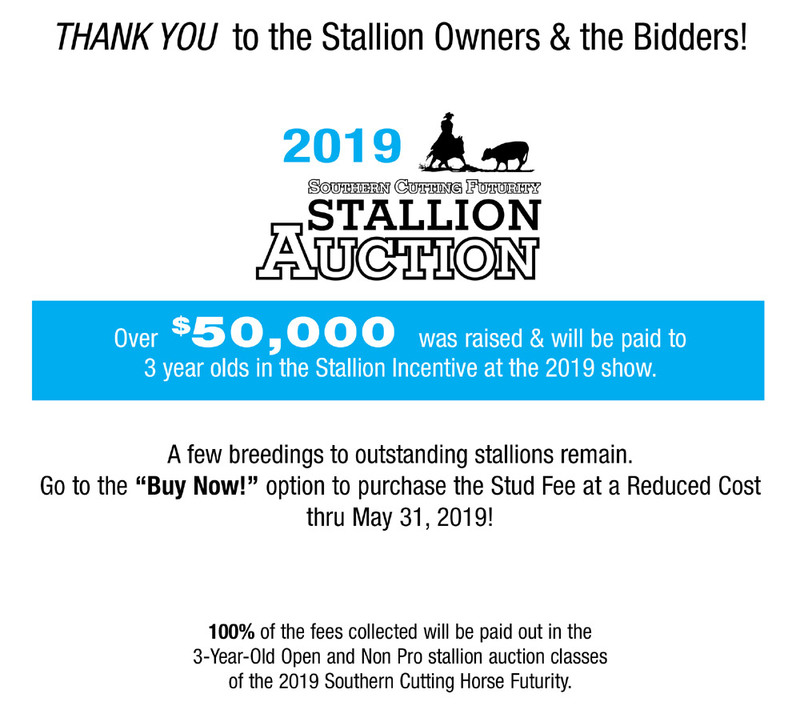 100% of the fees collected in the Southern Futurity Stallion Auction, (SFSA), will be paid out in the 3-Year-Old Open and Non Pro stallion auction classes of the Southern Cutting Horse Futurity, (SCHF). The bid fee does not include mare care, chute fees or veterinary care during breeding. Contact breeding facility for current costs.